Log house renovated into a quality office building. 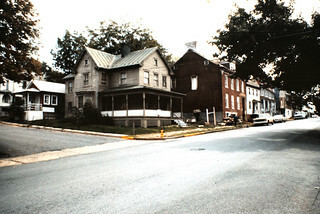 Federal-style frame buildings restored as single family homes. Federal-style brick and log home renovated into a single family residence. 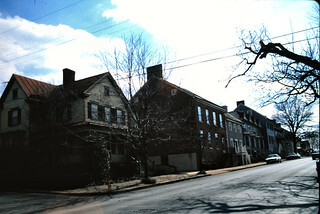 Two frame townhouses renovated into commercial space and law offices. Log building renovated into owner-occupied office space. Log house renovated into a single family residence. Log and clapboard building renovated into a single family residence. Log and clapboard building, renovated into a single family residence. Folk Victorian frame house, renovated into owner occupied residence with rental unit. Renovated into ten quality apartments. Log duplex built for the Everly family, renovated into two single family residences. Frame workingman’s house sold to the tenant who renovated the house to be used as a single family residence. 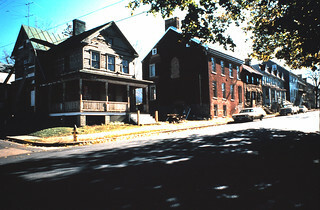 Log and clapboard houses, renovated into two single family residences. 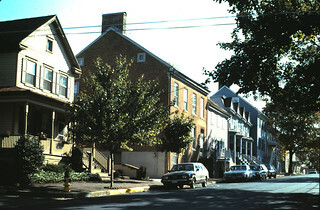 Brick Federal-style townhouse, renovated into a single family residence. Log and frame house, renovated and maintained as a single family residence. Log and German siding house, renovated as a single family residence. Frame and stucco house preserved as a single family residence. Log and frame house with Victorian additions. Renovated as a single family residence. Additional images of Revolving Fund properties may be viewed in the Flickr album. For information on deed restrictions for Revolving Fund properties, please see the Jennings Revolving Fund page.